Did you love the Royal Wedding? Lots of people love a wedding, and that includes people who choose not to be married themselves. There are also lots of people who love anything to do with the Royal Family. I am not surprised, then, that a Royal Wedding is a great occasion. Even if you are a republican who regards marriage as an outdated institution, I hope you can at least be pleased for all the people who got so much pleasure from Harry and Meghan’s wedding. Go on! Don’t be a misery! Was it what you expected from a Royal Wedding? It was not quite traditional, although there were many features in common with previous ones. It shows that the Royal Family are moving with the times, but at the core of it was an act of commitment by a man and a woman, in public and invoking God’s help. Was it a proper traditional religious service? This was a church service, held in St George’s Chapel, conducted by the Archbishop of Canterbury (with a little help from another Christian leader). It may have surprised some people, because it was different from the traditional version. I have seen lots of church services of all kinds and was surprised only that the Royal Family chose something like this. 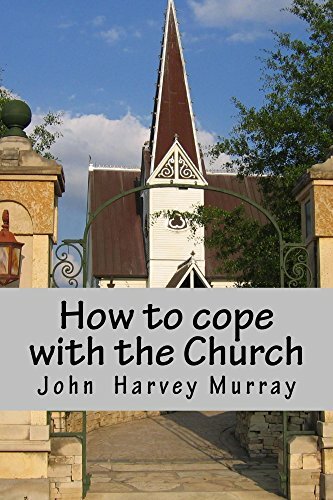 If you have a problem with the Church, try reading my book How to Cope with the Church. If you are a member of the Royal Family, you don’t need it: you are ahead of me. What went up on Ascension Day? Prayer! Remember what I wrote before Ascension Day? I wrote recently about plans for prayer and walking in Warrington on Ascension Day. Here’s how it went. What was all this prayer about? On Thursday, 10th May, groups of Christians walked around West Warrington praying in the streets and in several churches. It was Ascension Day, the day Christians remember the time when they believe Jesus went back up to Heaven. This was also an international day of prayer: the start of ten days of prayer ending on Pentecost Sunday, the 20th of May. Events are taking place all over the country and in many others. It’s called Thy Kingdom Come. What was my impression of the day? And others? I found it was a bit like a pilgrimage, only we were not going off somewhere. We were praying in our own area for our own area and for people around us. The day began at 9 am at St James’s Church, Great Sankey. People walked to St Philip’s, Westbrook, to St Joseph’s, Penketh and to St Mary’s, Great Sankey, where they held a short service. There was also a service at St Philip’s at 7.30 pm. Some people took part in the whole day’s activities, but many chose to walk a particular section or just attend one or more of the prayer times in churches. There were clergy and other representatives from Church of England, Roman Catholic and independent churches. How did people pray? What sort of prayer? They prayed in the streets and in the churches. Standing and sitting. Long prayers and short ones. Nobody knelt. Hardly anybody used set prayers and nobody said “Thou” or “Thee” or used any special language. They just talked to God. People prayed for people they knew, for the area, for the schools, for children starting and those leaving and they prayed for old people. They prayed for the prosperity of the town, and someone quoted Warrington’s motto “Deus dat incrementum” which means “God gives the increase”. There were times when people prayed silently, or rested in God’s peace. They will keep praying until Pentecost, Sunday 20th – and beyond. Someone asked, “Will this make any difference to our town?” We can only wait and see. Author John MurrayPosted on May 16, 2018 Categories UncategorizedLeave a comment on What went up on Ascension Day? Prayer! What are Christians doing on Thursday, 10th May? This Thursday is Ascension Day. It is the day Christians remember the time when we believe Jesus went back up to Heaven. It comes about halfway between Easter, when we believe he died and rose again, and Pentecost when we believe God sent the Holy Spirit to help the first Christians. What’s happening on this Thursday? It is an international day of prayer. It is the start of ten days of prayer ending on Pentecost Sunday, the 20th of May. Events are taking place all over the country and in many others. It’s called Thy Kingdom Come, after a line from The Lord’s Prayer, which Jesus taught his disciples. For more, go to the website. Here’s an extract. What am I doing on Thursday? I am joining a prayer-walk in West Warrington. I will be walking only some of the way and taking part in some of the prayer times in some of the churches the participants will be visiting. It is not a march or a procession. People will be walking and praying. It’s a bit like a pilgrimage, only we are not going off somewhere. We are praying in our own area for our our own area and for people around us. What is the plan for Thursday? The day begins at 9 am at St Jame’s Church, Great Sankey. People will walk to St Philip’s, Westbrook, and they will move on at 11 o’clock to St Joseph’s, Penketh. There will be a rest for lunch and prayer at St Joseph’s from 12.30 to 2.00. Bring your own lunch, but someone is providing tea and coffee. At 2.00 they will set out to walk to St Mary’s, Great Sankey, where they will hold a short service at 3.30. There will also be a service at St Philip’s at 7.30 pm. If you are a Christian living in or near West Warrington, please come to at least one of the phases. Anyone who doesn’t fancy a long walk is welcome to just come to one of the stationary elements. If you are anywhere else in the World, go to the website and find an event near you. Pray Thy Kingdom Come. Are Thursday’s events only for Christians? If you are not a Christian, feel free to come and see what’s happening. Pray in whatever way you feel you can or ask us to pray for you. Bring your doubts. And your lunch. Doubt and Faith. They are often closely linked. If nothing else, at least you now know what this lot are doing, wandering the streets of West Warrington! Author John MurrayPosted on May 7, 2018 Categories UncategorizedLeave a comment on What are Christians doing on Thursday, 10th May? Does fake news matter and how can you spot it? Donald Trump seems to call fake news any reporting he finds inconvenient. Others have said they are worried that foreign governments and certain individuals have put false stories into the media to influence elections and our EU Referendum. Outside of politics, some stories about celebrities have been found to be made up, probably maliciously. Why does it matter if news is fake? David Cameron (remember him?) has said he is worried this could undermine democracy, as voters need reliable information so they can make informed decisions. He is not alone in that opinion. Can fake news affect you if you are not interested in politics and you’re not a celebrity? We all need to make decisions in business and in everyday life and form our opinions of other people and of businesses, countries, religions, charities and other organisations by what we hear about them. We could be making wrong decisions or we could be developing wrong attitudes, because we have believed fake news. This might not matter much or it might matter enormously, depending on the situation. How can you spot fake news? There are a number of things that can give you a clue. Then you can look a little further, or just take that story with a large pinch of salt. I will suggest a few more clues to look for in later blogs, but here are some to be going on with. Clues for views of the news you choose. Does it identify itself? If not, be wary. Is there a link to a website? Does the site seem genuine? Has it got a disclaimer? i.e. How confident are they of their facts? Does it state the source of its information? How does someone in the UK know what’s going on in the Ukraine? What contacts have they got? Does the site or publication intend you to take it seriously or is it just for laughs? Is it satirical? Can you tell which bits they mean you to take literally, which they have exaggerated and which are ironic? I find it easy to tell what’s what in Private Eye but not all mags or blogs make their distinctions as clear. Is the source biased? You can probably guess that Momentum will seldom promote stories favourable to the Tories and vice versa. In a similar way, people in business, and lots of individuals who are not, have their agendas and grudges. Can you see who has written the story? Can you find out more about them? 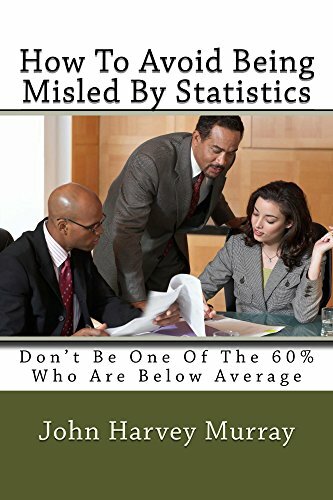 Along with fake news, misleading statistics affect our opinions and even our decisions. Don’t be fooled and don’t be a fake! Think about these points. I will write about other clues to look for soon. PLEASE don’t add to the problem by creating fake news stories or by passing stuff on without checking it. Author John MurrayPosted on May 2, 2018 Categories UncategorizedLeave a comment on Does fake news matter and how can you spot it?